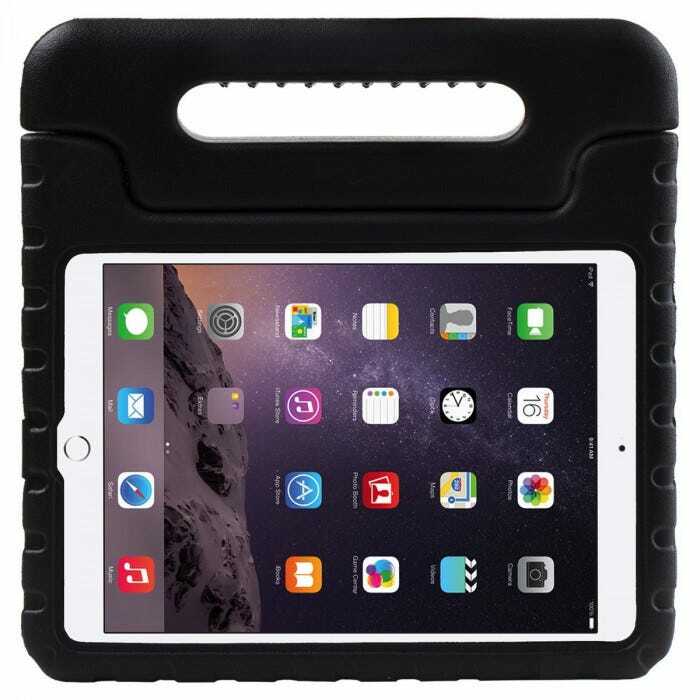 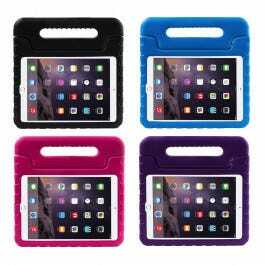 Protects tablet from bumps and scratches and makes it easier to carry with attached handle. 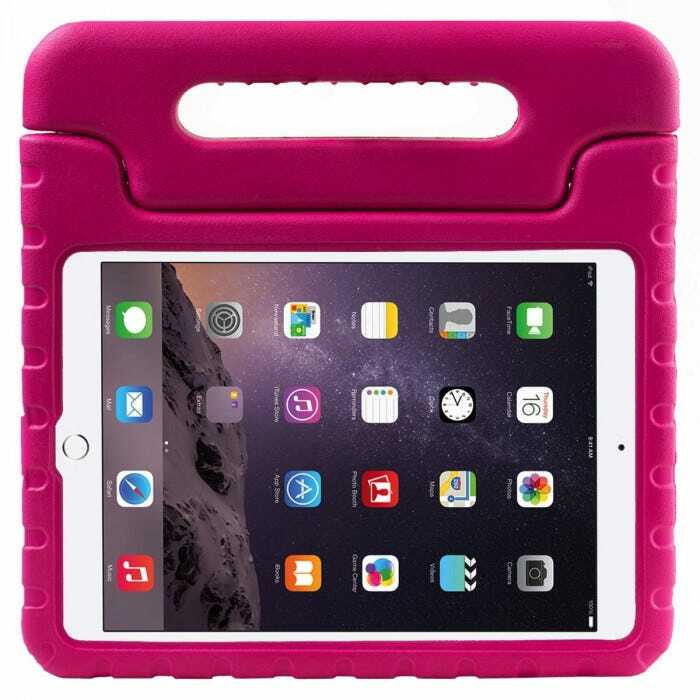 Lightweight, impact resistant materials on the edge and double impact resistant materials on the corners to absorb impact from drops or dents that would normally hurt the inner workings of the device. 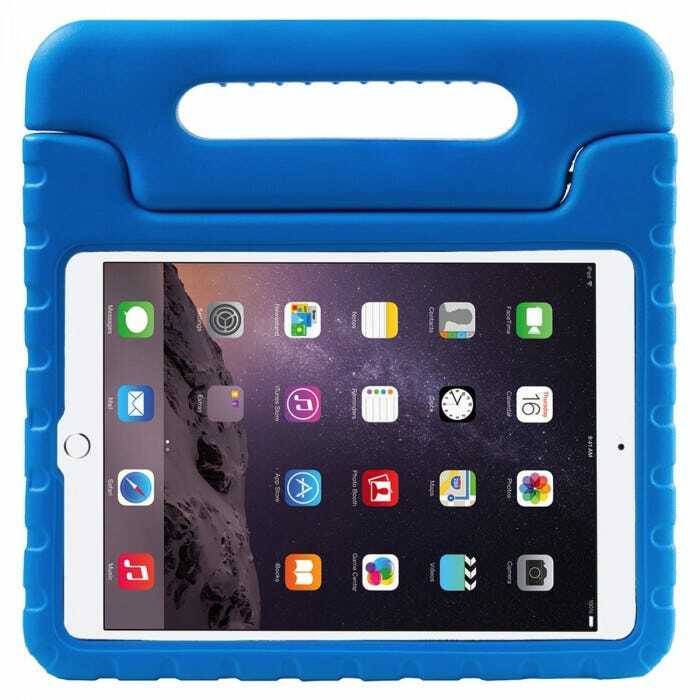 Unique carrying handle allows iPad to be easily and securely carried without fear of dropping and folds to convert into convenient stand.